For videos and photos of TR@ND 2o18, please click here. 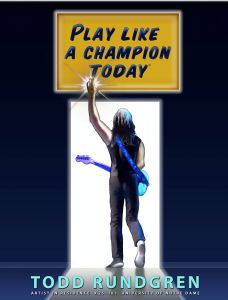 Todd Rundgren and his Spirit of Harmony Foundation visited the University of Notre Dame September 22-October 1 for Todd’s Artist In Residence, hosted by the University’s Department of Film, Television, and Theatre. 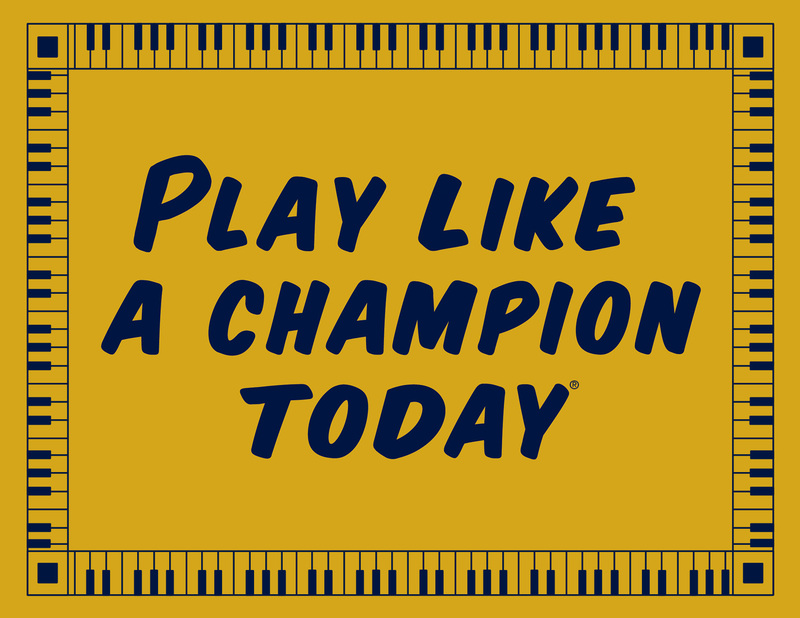 An underlying theme of the visit was “Play Like a Champion Today,” the iconic slogan closely associated with ND Athletics, and how its meaning can be expanded to include the essential nature of Music Education. Todd taught an interdisciplinary elective class, Exploring the Creative Muse: Art, Business, Technology, and Rock n’ Roll, Sunday through Friday, offered by the Department of Film, Television, and Theatre. 53 students registered for the class, and the Friday, September 30 session was open to the public: “Giving You the Business of Rock ‘n Roll From vinyl to digital, from The Nazz to Runddans,” a conversation and Q&A about the business of music. Notre Dame Fighting Irish vs the Duke Blue Devils, Saturday, 9/24. Todd’s attendance at the game and game-related festivities will be the subject of a First Time Fans documentary that will highlight Music Education and the Spirit of Harmony Foundation. At the Pep Rally and Football Game, the Spirit of Harmony Foundation organized on-campus collection of used musical instruments by Hungry for Music, SOHF’s program partner. In cooperation with the University of Notre Dame and the Center for the Homeless, the Spirit of Harmony Foundation established a brand-new ongoing music program for the children of the families who are guests at the Center. At a service project on Saturday, October 1, Todd fans from across the country hosted and served a luncheon for the guests of the Center and Todd distributed ukuleles to the children. Also, 24 music stands were sponsored for the Center with a donor plaque inscribed with each name. PLEASE NOTE: A very limited supply of our Sprite O’Harmony tshirts are available for purchase on our Souvenirs webpage, while supplies last. As a grand finale to the residency, Todd Rundgren performed with students for a one-of-a-kind concert at the DeBartolo Center for Performing Arts on Saturday, October 1. The concert also featured the presentation of the Spirit of Harmony Foundation’s annual Singring Award for Music Education to Notre Dame alumnus Dr. Bill Hurd, musician, athlete, philanthropist. Also at Notre Dame that Weekend…. A class of fourth graders from Stockton, California were also attending the weekend festivities. Here is their First Time Fans documentary, and below the documentary, we’ve captured a spontaneous meeting with Todd.